Social Media | MOMPRENEUR, ESQ. 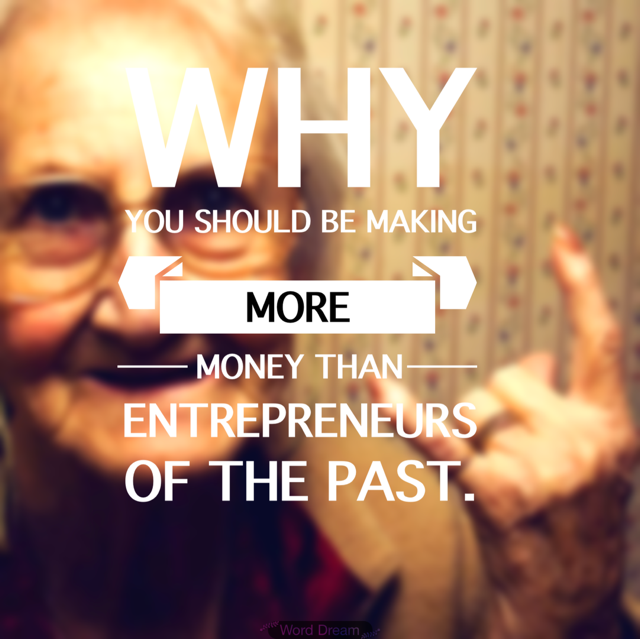 Why You Should Be Making More Money Than Entrepreneurs of the Past! We all know that times have changed. Cell phones, the internet and smart phones/devices have changed the world in which I grew up! I guess I am telling my age…lol. Just as those things changed the world as I knew it, it has also changed the way we do business and market business. Back in the day if someone wanted the world to see what went on behind the scenes of their business or learn things about them, they’d have to hire an entire camera crew to follow them around. They would then have to buy tv time in order for the masses to see it. Nowadays all of that can be done with a handheld device and a push of a button! No longer are people flocking to the yellow pages or the newspaper to find the best person to solve their problems. They have information readily accessible on the web! How does this benefit you? EASY. It helps people learn about you and what you do/sell quickly and with ease. Gone are the days where you are (or a member of your team) are calling people during their family dinner or inopportune moments (like when they have a house guest) to tell them all about yourself and what you have to offer. Now you can use a particular hashtag or post in a specific group and get all the eyes that are already looking for you directly on your brand! It is like magic. (throw glitter and add ohhs and ahhhhs now). The best part of all of this is not only that the changes have made things easier, but it has also made it super inexpensive often times it is FREE! The internet, more specifically social media, gives entrepreneurs a platform to the tell everyone and their momma that is interested what they have going on! It allows entrepreneurs to connect with their audience and gain trust must faster than entrepreneurs of the past. That connection and trust allows entrepreneurs to also gain the sale faster. Thereby allowing today’s entrepreneurs to get the money FASTER and likely in larger quantities than the previous generation of entrepreneurs. Today entrepreneurs cannot use “I don’t have the money, I don’t have a photographer/videographer, etc.” as an excuse anymore. Those days are long gone! If you are not using social media to market your business then it is likely you have been under a ROCK!!!!! If you are missing out on money due to your failure to use the FREE tools consider this a virtual kick in your shin! I am sending you virtual sad faces and tons of SMHs! If by chance you have been under a rock I have a few sites for you to set you on your journey to getting paid to post. Yes, your posts should eventually be generating checks, my friend. This entry was posted in branding, Social Media and tagged branding, digital marketing, entrepreneur, social media on October 19, 2015 by MompreneurEsq.